Dad’s failing Tissot with a mechanical movement has been replaced by… …an Apple watch. 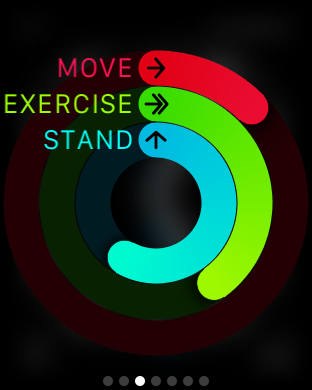 The watch tells me that I excersize without moving. I call this behaviour deep thought, that’s thought. I love my new watch. Not the phone, just the massive brick of a watch. The phone is merely a conduit, a relay box that I can use to update the watch settings. I now know what time it is in every country that I might feel inclined to call… …and other surprisingly pleasing trivia. I still use my windows phone for ‘personal’ stuff, but this gadget could be the one that catalyses my shift away from a Windows platform. This scribble was published on Tuesday, October 27th, 2015. You can follow any banter on this scribble with the RSS 2.0 feed. You can share your inspired musings after typing the anti spam word near the bottom of the page. But no Pinging because its too naughty.